Forming- Forming is a metal stamping operation that Vulcan performs to shape a flat or blanked piece of metal to create a desired specification, similar to bending. 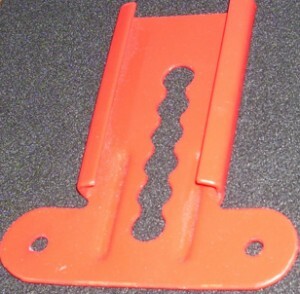 Complex parts such as U-sections, channel sections of different profiles, can be produced by doing multiple bends. Laser Cutting- Laser Cutting is a process utilized by Vulcan Metal Stampings to cut materials with a laser, providing a high quality surface finish with great precision and close contours. Laser cutting with Vulcan Metal Stampings can produce parts with minimum setup time and no tooling cost. Laser cutting is a cost-efficient process for small batch production and can be done with quick turnaround, enabling Vulcan Metal Stampings to work with you to meet your prototyping needs. 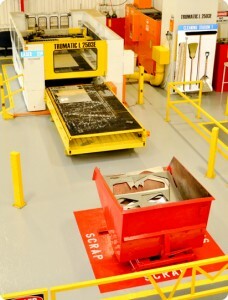 Additionally, scrap is minimized in this process as laser cutting allows close nesting of parts. Piercing-Piercing is a shearing process where a punch and die are used to create a hole in sheet metal or a plate. 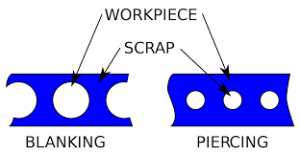 The process and machinery are usually the same as that used in blanking, except that the piece being punched out is scrap in the piercing process. There are many specialized types of piercing: lancing, perforating, notching, nibbling, shaving, cutoff, and dinking. Progressive Stamping- Progressive Stamping is a metalworking method that can encompass punching, coining, bending and several other ways of modifying metal raw material, combined with an automatic feeding system. The feeding system pushes a strip of metal (as it unrolls from a coil) through all of the stations of a progressive stamping die. 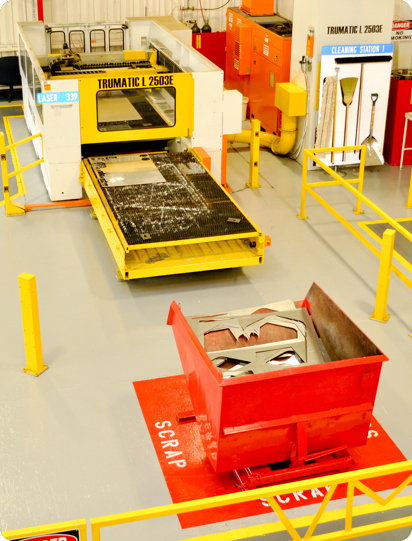 Each station performs one or more operations until a finished part is made. The final station is a cutoff operation, which separates the finished part from the carrying web. The carrying web, along with metal that is punched away in previous operations, is treated as scrap metal. 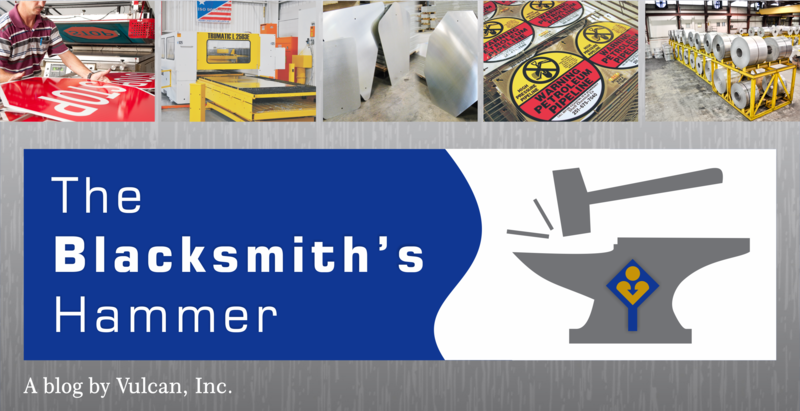 Vulcan Metal Stampings has multiple progressive dies and also has the ability to make small progressive dies in-house. In addition to the primary operations listed above, Vulcan Metal Stampings offers many secondary operations including Assembling, Counter-Sinking, De-Burring, E-Coating, Electro-Plating, Heat-Treating, Notching, Painting, Powder Coating, Riveting, Staking, Tapping and Welding. For more information or to request a quote, please visit www.vulcanmetalstampings.com or call 1.888.846.2805.